Recent British Coach Tourism Award winners, ICT, picked up Best Tour Wholesaler & Industrial Supplier partly for its efforts in creating new exciting product for the coach touring market. One such tour is the Guernsey element of Wartime Channel Islands; and with the island’s struggles through WWII thrown into the spotlight this month with the movie release ‘The Guernsey Literary and Potato Peel Pie Society’, there has never been a better time to visit. The film is based around a writer who uncovers tales from local residents in the aftermath of WWII, something that has not changed to this day as locals are proud to share antidotes from this period with interested visitors. The four-night tour includes two full days of island touring with two days at leisure; an optional tour enhancement of a daytrip to the island of Sark can be included. Sark may not have much in the way of modern transport however it does have its very own intriguing war museum and captivating ‘cut-off’ way of life. 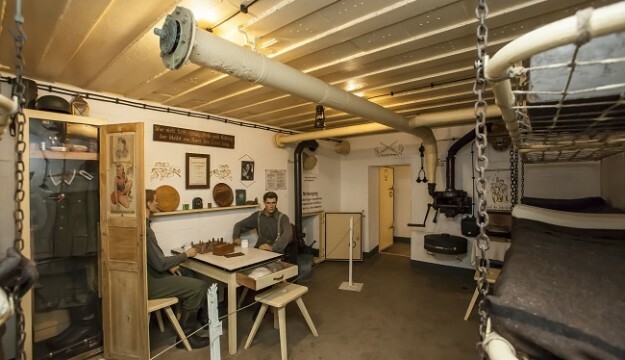 Those who have visited Guernsey before will know all too well of the lasting wartime remnants scattered around the island from observation towers to gun posts which pepper the coast, on this tour visitors get the chance to hear the story behind them and so much more you would not realise is there. The Underground Hospital of St Andrews was the largest structure completed by conscripted labour force during occupation; the Naval Signals Headquarters at St Jacques was the centre for all radio communication between Germany and the islands with infamous Enigma machine installation to this day. Discover hidden bunkers, including one at Fort Hommet which has since been bedecked with beautiful shells depicting biblical scenes and known as The Little Chapel. Discover the German Occupation Museum, a farmyard which formed wooden barracks for soldier’s accommodation. Discover how roadways were temporarily renamed, how resilient residents provided for themselves and how initially Guernsey had successfully held off the invasion. Along this route your group will also uncover the beauty of this green island, some of the most strategic viewpoints to the occupiers unveil the most stunning coastal scenery. A stop at St Martins in the Jerbourg area holds unrivalled panoramic views with Alderney, Cherbourg, Mont St Michel, Herm, Sark and Jersey all visible on a clear day. A drive along this strip is also said to have provided inspiration for the novel from which the new Guernsey-based film is derived. Managing Director for ICT, Peter Stratton remarked “We are keen to create new angles to established tourism destinations. Guernsey, and furthermore the Channel Islands, offered us this opportunity. The islands make a fantastic group break no matter what the occasion, when you throw its fascinating wartime heritage – still so intact and vivid in the memories of locals, this tour offers an eclectic mix and should surely feature on any upcoming tour programme”. ICT has also created a Jersey-centred ‘wartime and liberation’ themed tour, staying at the historic and pivotal Pomme D’Or Hotel in the centre of St Helier; it’s from here the ‘Jack’ was hoisted on the hotel balcony signalling the end of German Occupation. 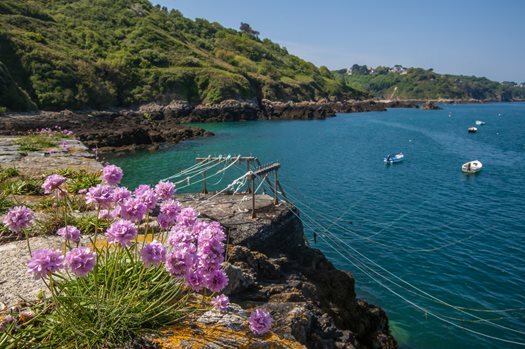 Operators can even make use of ICT’s tailor-made service and join both elements and islands on a twin centre Guernsey & Jersey tour.